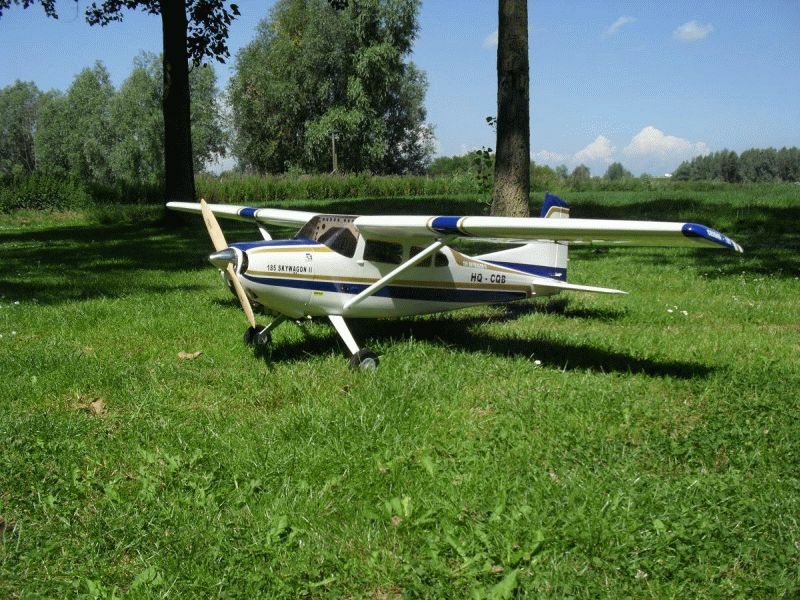 Wing span (spanwijdte) 2200 mm 86,6"
Epoxy resin fiberglass fuselage and cowl, balsa built -up wing. Wing Covering Material: Solartex Fabric Covered, painted, decals applied and clear coated. The aircraft has a beautiful flat, non-glossy finish. This is superior to glossy covering materials. Functional flaps. 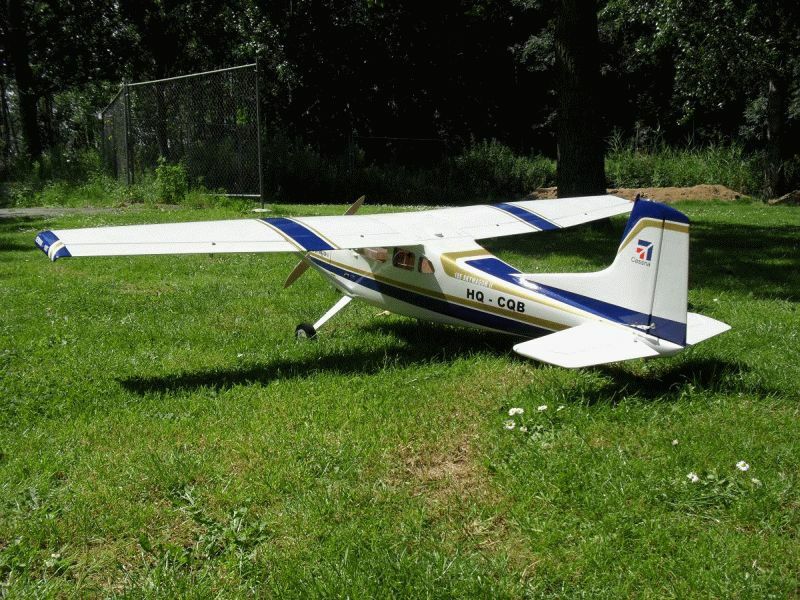 seat, single engined, general aviation light aircraft manufactured by Cessna. to insure due to their handling acteristics during takeoff and landing. 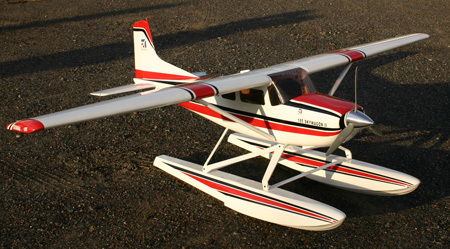 model Skywagon II has a factory fitted avionics package. cargo pod under the fuselage that can carry an extra 300 lb (136 kg). lakes primarily in Canada and Alaska.